SOIL Haiti | National Geographic: Human Waste to Revive Haitian Farmland? 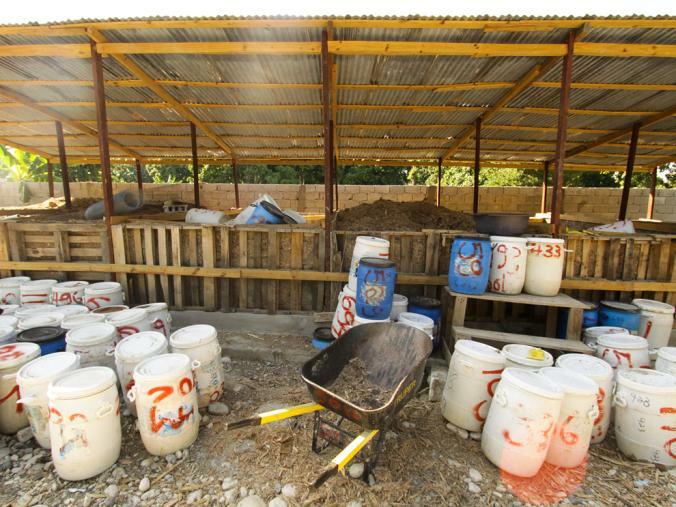 National Geographic: Human Waste to Revive Haitian Farmland? So far, SOIL has installed ecological toilets in camps of more than 20,000 people left homeless by the 2010 earthquake in Port-au-Prince. Facilities are also being supplied to 30 communities in northern Haiti. But these aren’t just any toilets: Kramer and her colleagues constructed urine-diverting toilets, a type of ecological sanitation in which urine and feces are separated. The waste is then covered with a dry material to aid decomposition and is regularly collected. ‘With seven billion people on the planet as of this week,” Kramer said, “technologies like this are more and more important for addressing the basic rights of a growing population and reducing the negative impact on the earth’s ecological systems. '” – Christine Dell’Amore, National Geographic News, October 26, 2011. Read the full article here. No Replies to "National Geographic: Human Waste to Revive Haitian Farmland?"